There are many reasons why your trusty doorbell may not be working. Although it could be a simple fault, it’s always best to trust a professional to take care of the problem for you. When you need a doorbell repaired, you can call E J Lack Electrical – the doorbell repair specialists! At E J Lack Electrical, our team of trained A Grade electricians have experience repairing a wide range of common doorbells and heritage doorbells for homes and businesses around Melbourne. Whether you have a hard-wired doorbell that is directly connected to your home’s electrical system or you wish to restore a stylish heritage doorbell; or even convert a doorbell to include a wireless transmitter, we have the expertise to help you with any doorbell repair! With so many heritage and Victorian-era homes in Melbourne it is important that any repair or modification works that are completed are done so with minimal impact on the décor or exterior of the property. When installing doorbells and chimes for use in heritage homes we use styles that retain the aesthetic values of the building to retain the authenticity of the estate. When conducting rewiring work we use accuracy and patience to ensure that the works are completed without impacting on the design of the property. To improve the effectiveness of the doorbell we can also convert your wired bell to a wireless model. If you are looking for hard wired doorbell repair in Melbourne, you can’t go wrong with E J Lack Electrical. We are proud to offer superior doorbell repair services for the discerning home owner. 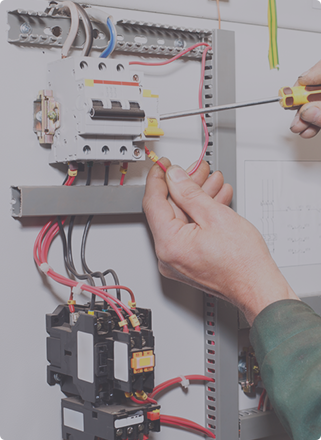 As one of Melbourne’s top electricians, we are renowned for helping clients around Melbourne with electrical works and maintenance, including doorbell repairs. Over the years, we have built a great reputation for our excellent customer service and efficient workmanship – so you can trust us to resolve any electrical issues you have, including doorbell repair with the greatest care! Call us today.